The last time the sun produced a similar string of spotless days was May of 2010, almost 7 years ago. 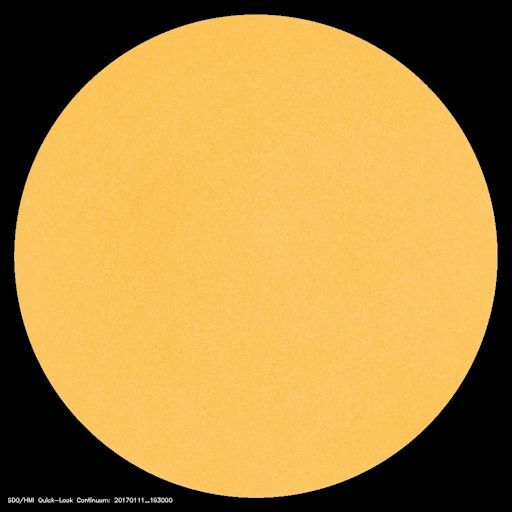 That was near the end of the previous deep Solar Minimum. The current stretch is a sign that Solar Minimum is coming again. Sunspot numbers rise and fall with an ~11-year period, slowly oscillating between Solar Max and Solar Min. In 2017, the pendulum is swinging toward the bottom. 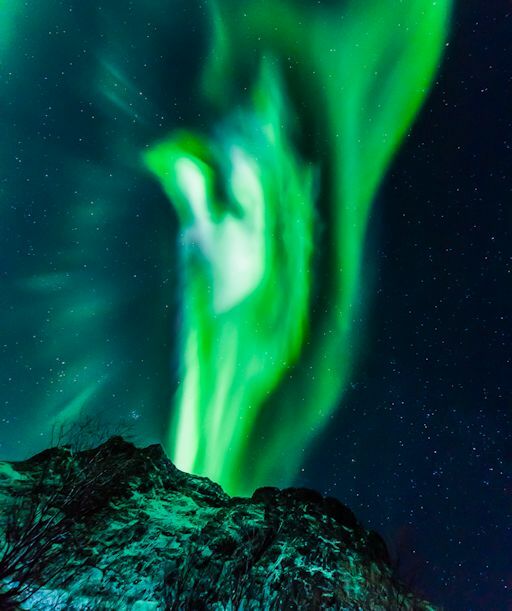 The auroras were sparked by a stream of solar wind flowing from a large hole in the sun’s atmosphere. Such “coronal holes” are common during Solar Minimum. Sunspots are an important source of space weather. They can unleash solar flares, cause radio blackouts and geomagnetic storms. However, equally interesting things happen when sunspots vanish. For instance, the extreme ultraviolet output of the sun plummets. This causes the upper atmosphere of Earth to cool and collapse. With less air “up there” to cause orbital decay, space junk accumulates around our planet. Also during Solar Minimum, the heliosphere shrinks, bringing interstellar space closer to Earth. Galactic cosmic rays penetrate the inner solar system with relative ease. Indeed, a cosmic ray surge is already underway, with implications for astronauts and even ordinary air travelers. Stay tuned for updates as we enter a new phase of the solar cycle.